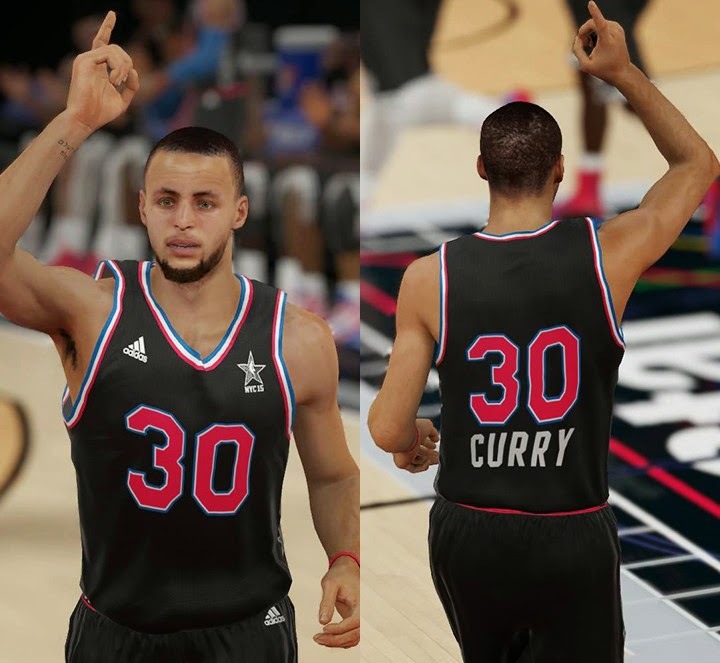 The jerseys for the 2015 NBA All-Star Game have been added in NBA 2K15 along with the court for the weekend’s festivities. They were included in today's roster update, which updated the rosters for the East and West teams. Unfortunately, the uniforms doesn't have the first name above the numbers, like it should, but it does have the last name under the numbers. If you recall, the Christmas uniforms also had an issue with player names. They were supposed to display the first name on the back of the jerseys, but only the last name was shown in the game. 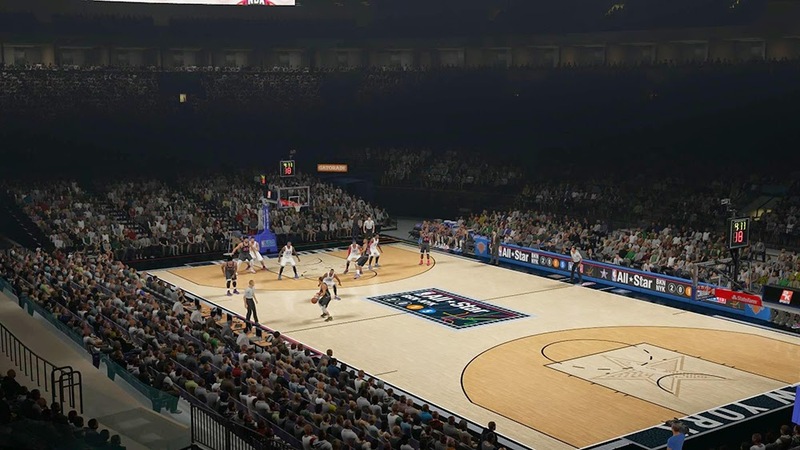 For those that are curious, here's updated the court for the upcoming NBA All-Star game, check out the image below.